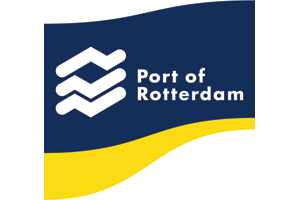 The Port of Rotterdam Authority is very happy to continue the cooperation with current and new partners in the EGTC Rhine-Alpine. Local and regional cooperation is very important and necessary in order to keep – and improve one of the busiest corridors in Europe functioning. It’s not just the ship arriving in a seaport, but even more important are effective and sustainable hinterland connections and dialogue with European citizens. Transporting goods and adding to European value doesn’t stop at country borders and therefore cooperation is a key success factor. Gelderland is in between the metropolitan areas Randstad Holland in the Netherlands and the Rhine-Ruhr area in Germany and on the lower parts of the Rhine. Key issues are transport and logistics, economic opportunities, environmental issues connected with this, our fantastic nature, but also the permanent risk of flooding. And it all needs an integrated policy approach. Together with other authorities in the Rhine-Alpine Corridor we will work on common developments, projects and on European strategies that benefit our inhabitants. The Province of Zuid-Holland is an important economic region in the Netherlands with 3.5 million inhabitants, two main cities Rotterdam and Den Haag, Greenports and the Port of Rotterdam. This port is the largest in Europe and therefore important not only for the Netherlands, but for the whole of Europe. Zuid-Holland has a key position in three TEN-T corridors, including the Rhine-Alpine corridor. Cooperation with the members of the EGTC is self-evident! The EGTC Rhine-Alpine aims to strengthen cooperation on the Rhine Alpine multimodal corridor in order to stimulate its swift development. 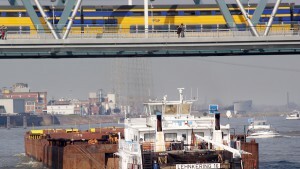 This development is not only crucial for European transport policy in general, but more specifically also for the further competitivity of the port of Antwerp which relies on the effectiveness of its hinterland connections and a good cooperation with all stakeholders. 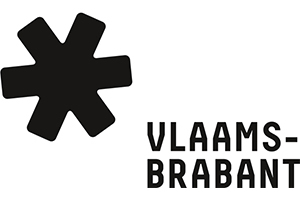 The Antwerp Port Authority therefore is very pleased to be part of this European interregional alliance and is looking forward to the realisation of many projects contributing to the further development of the corridor. 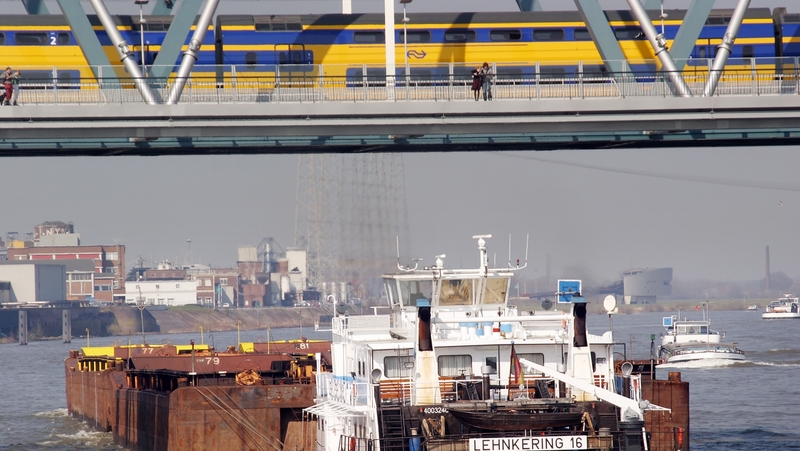 As a Dutch region, bordering the German Land of North Rhine-Westphalia, the Venlo Region forms the central link between the ports of Rotterdam and Antwerp and the German Ruhr area. The region focuses on road, water and rail transport and innovative and sustainable solutions on the TEN-T corridor. By joining the EGTC and actively participating in projects and developments, the Venlo region will contribute to strengthening the TEN-T transport network Rhine-Alpine. The Rhine-Alpine Corridor is the most important European transport axis and connects the most successful economic regions in Europe with each other. 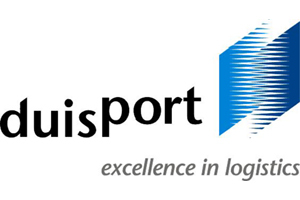 duisport is the leading logistics hub in Central Europe and represents one of the major nodes along this corridor. As a member of EGTC we will actively strive to strengthen and further develop this transport axis. All regions and municipalities along the Corridor benefit from the Corridor’s strengths and are affected by the Corridor’s impacts. As a result these specific regional and local interests do not per se coincide with those pursed by rail operators and national governments. The EGTC offers a platform where the regional and local stakeholders’ voice will be better heard at European and national level and through the bundling of actors who share similar interests. Common statements on corridor relevant issues is one essential option. Mainz is an important hub in the metropolitan region of FrankfurtRheinMain when it comes to private and railway traffic as well as to water-borne transport. By becoming a member of the EGTC, the city hopes to be able to join actively in the work of mastering the public and goods traffic most advantageously for its inhabitants and the environment. 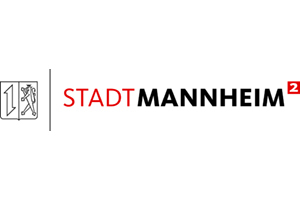 To achieve this goal, the city of Mainz focusses especially on innovative and sustainable solutions within the environmental compound system. The Rhine-Neckar Metropolitan Region is centrally located within the Rhine-Alpine Corridor. Our region is characterized by important transport infrastructure on rail, road and waterways as well as by a dynamic logistics sector. The future development of the Corridor is thus of vital interest for our region. We emphasize the need for close cooperation and a coordinated way of realizing the joint interests of the regional and local actors in the Corridor; the EGTC is the adequate form for achieving this. 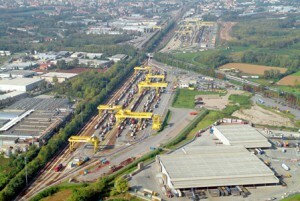 The port of Strasbourg is the 2nd French inland port and a major hub for multimodal transport in the central TEN-T- Network. Strasbourg is the only European city positioned on 4 European transport corridors: North Sea-Mediterranean, Rhine-Alpine, Rhine-Danube and Atlantic. Engaged in several cooperation initiatives for efficient and sustainable multimodal transport in the Rhine-Alpine corridor, the Port of Strasbourg fully supports the integrated approach of the EGTC Rhine-Alpine. 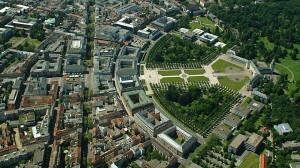 As a member of the EGTC Rhine-Alpine Corridor, the City of Karlsruhe is able to effectively carry its transport-related concerns in cooperation with the partners along the corridor, especially with the Karlsruhe TechnologyRegion and the Regional Planning Association Middle Upper Rhine, on the national and European level and draw the attention of the European Commission particularly to the regions along the corridor. 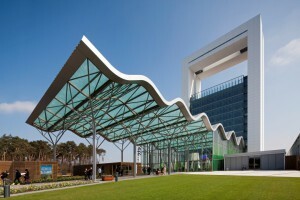 The membership within the EGTC creates synergies with the Initiative “Main Line for Europe” and offers new possibilities to strengthen the connection of Karlsruhe in interregional transport infrastructure, to strengthen the transport system rail and to acquire new opportunities for European funding. 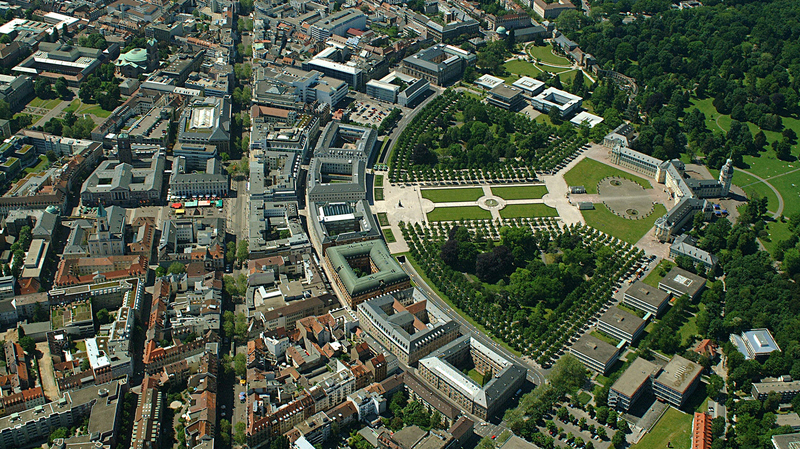 Additionally the City of Karlsruhe emphasises through its membership the particular importance of cross-border and European cooperation, thus boosting its international profile. We might seem tiny, but are driven by a grand vision. We want to find shortcuts in a Europe of decreasing distances. The Region of Lahr is of an exceptional beauty. In view of growing traffic and commodity flows we want to develop this region for the benefit of efficiency but not at the expense of quality. The EGTC offers the floor to work together transnational with partners from urban and regional planning, science and economy at the complex topic of rail infrastructure. The EGTC offers the opportunity to bundle the common interests of the members against national and European institutions. The Regionalverband Südlicher Oberrhein intends to extend the issue of noise protection in rail transport to European level. Regione Piemonte joins the EGTC believing that a common bottom-up strategic initiative increases the opportunities for the involved partners to improve the transport services. Regione Piemonte joins the EGTC because it is a key means of improving the European integration starting from the needs of local communities. Regione Piemonte joins the EGTC because it is a way of exchange experiences, knowledge, best practices and using them to create and finance common projects. 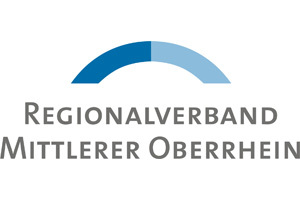 The participation at the Interregional Alliance for the Rhine-Alpine Corridor EGTC is very important for the entire system of the Chambers of commerce affected by the passage of this European corridor. The presence of Uniontrasporti is a conduit for the Chambers of commerce to understand, discuss, encourage and lobbying in Europe in the field of infrastructure, transport and logistics. 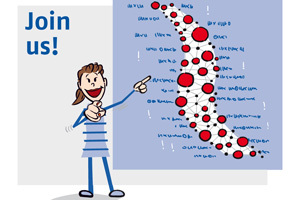 Join the EGTC it is central for the interests of economic and business areas crossed by the corridor Rhine-Alpine, provide to the EGTC skills and know-how on different themes (corridors, freight, logistics, etc. ), provide the Italian contribution to the completion of the north-south, through a common strategy, initiated through the Corridor. The great number of logistics settlements and freight operators, the necessity of efficient network of connections along the whole North-South corridor Rotterdam-Genoa, the goal to ensure dynamic commercial exchanges by improving the infrastructural system, inside and outside the regional borders, all these factors have already led to cooperate with the neighbouring countries to share freight transport policies. Becoming a member of EGTC Rhine-Alpine for Regione Lombardia is a good opportunity to enlarge the cooperation on European stage and to go further in attractiveness, accessibility and economic development. The regional infrastructural system is crucial at Italian and European levels. Liguria and its maritime ports have represented the Mediterranean gateway to Europe for freight and passenger transport over the centuries. 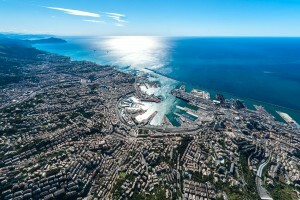 At present, the territory continues to play a key role in the Mediterranean Basin and in the Trans-European Transport Network, as important core and comprehensive urban nodes and infrastructures are located in Liguria: the urban nodes of Genoa, La Spezia and Savona-Vado are part of the European network; the airport of Genoa, the maritime ports of Genoa and La Spezia and the rail-road terminal of Vado are included in the European core network; the port of Savona-Vado is in the comprehensive network. In this context, Liguria Region aims to improve the infrastructural system and the transport sustainability, in order to increase the regional economic development. As a result, Liguria Region participates actively to the EGTC initiative as it represents an opportunity and is coherent with the regional economic development and infrastructure strategies.